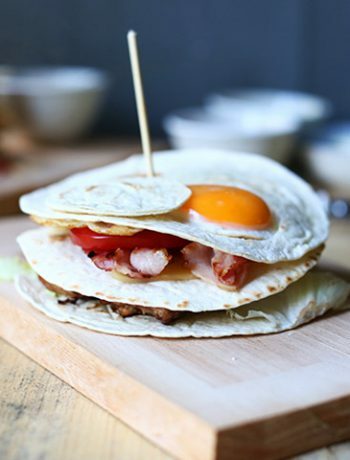 Huevos rancheros is a Mexican breakfast recipe made for their cowboys to start a hard days work. 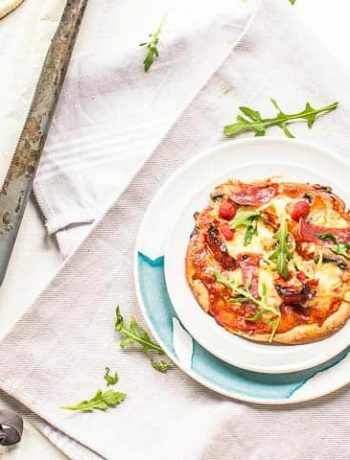 Fortunately you do not have to be a cowboy to eat this recipe. It is quite simple with the smallest tortillas available, that fit these mini cast iron skillet perfectly. If you ever have guest over they will fall in love with them and want to take them home. They look so festive and cool I can look at them forever. 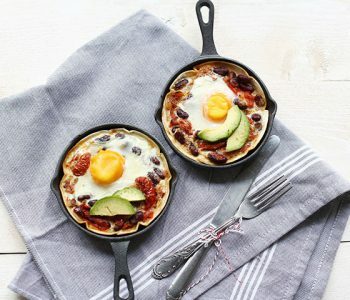 If you do not have these cute mini cast iron skillets you can off course make this recipe in a larger skillet as well. 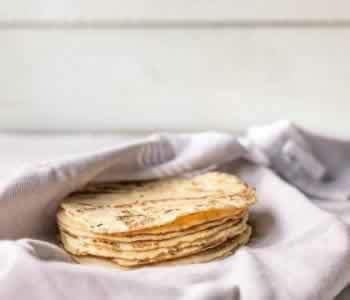 Depending on the skillet size take a medium or large tortilla and double the recipe. The outcome will be the same a hearty delicious breakfast, brunch or lunch recipe. It is quite simple to make this recipe. Before you start pre heat your oven to 420℉/200℃. The recipe is a symphony in two parts. Part one starts with baking a number of the ingredients. Take a skillet and bake the tomatoes, onion and kidney beans in a pan until the onion is soft and translucent. Take of the heat and set aside. Part two has everything to do with the tortilla and skillet. You need to push a small tortilla in the mini cast iron skillet. We are making two so repeat for the other skillet. Then put two slices of ham on the the tortilla. 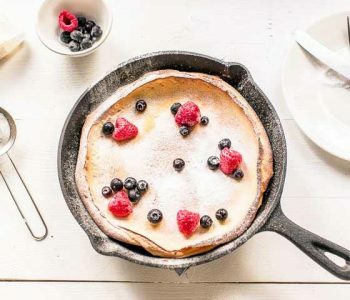 You do not need a baking product in the skillets. Now add half of the kidney bean mixture on the tortilla. Repeat this series of steps for the second skillet. Be sure to leave some room in the middle of your skillet so you can crack an egg on top of the bean mixture. In the oven at 420 ℉/200℃ for about 15 to 18 minutes depending on how well done you like the egg. Serve immediately. If you like this recipe then have a look at these breakfast recipes too. I’m sure you will love it. Huevos rancheros tacos – these huevos rancheros are another version of this recipe. 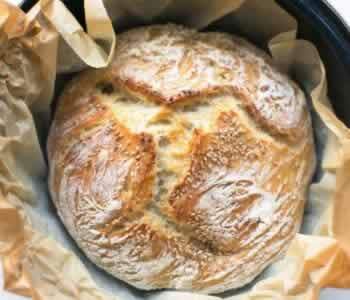 Great to make in the weekend or for a Festive lunch. Have fun with this easy tortilla huevos rancheros recipe! Made a recipe tag @thetortilachannel on Instagram or PIN on Pinterest. 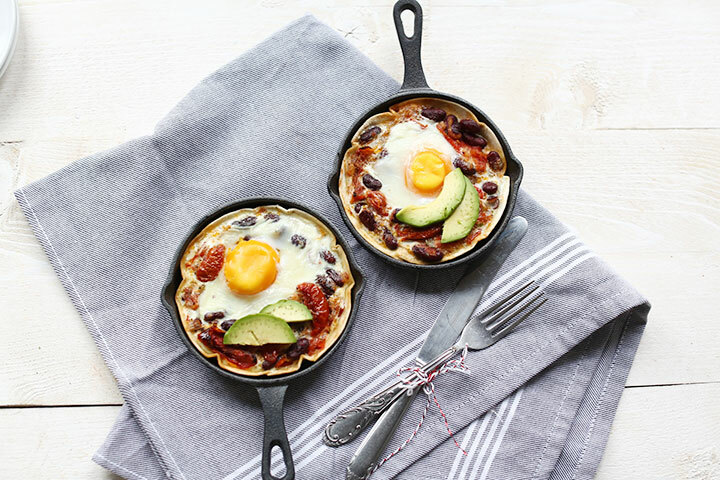 I love comments so let me know your thoughts on these tortilla huevos rancheros in the comment box below. What does your hearty breakfast look like? Easy tortilla huevos rancheros are made with tortilla and eggs. 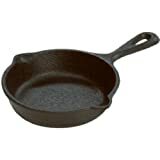 These cast iron mini skillet look so cute and are the perfect size. Lets get started! Push a small tortilla in a mini cast iron skillet. Put two slices of serrano ham on the the tortilla. Add half of the kidney bean mixture on the tortilla. Repeat with the second mini cast iron skillet. You can use your favorite ingredients. So you can use Chorizo, bell pepper or black beans. Add some chili pepper powder if you like your huevos ranchos spicy. Not only does this sound delicious, but your presentation is simply adorable!!! I love it! Mini skillets 4 liiiife! Thank you Jessie for your kind comment! I totally agree mini skillets rock ? I’ve found a real difficulty adjusting the skillet temperature. I ended up burning the recipe 🙁 can you please suggest me any adjustments in temperature? I used mini skillets and did not pre heat them in the oven but put them in cold. Never burned a tortilla at 420℉ but every oven is different. You can either keep the temperature as is but check after 8-10 to see if the egg is set and take it out. Or lower the temperature to 375℉-350℉. At this temperature it will take longer for the egg to set I imagine. Great Recipe. What if I add some beef to it? What’s your opinion about adding that? Thank you. I haven’t made huevos rancheros with beef myself but I do not see why you shouldn’t. What type of beef are you thinking about?